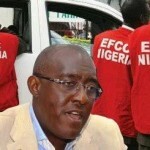 (AFRICAN EXAMINER) – The National Chairman of the Peoples Democratic Party, PDP Prince Uche Secondus has dragged the Minister of Information and Culture Alhaji Lai Mohammed to court for defamation of character. The Minister had mentioned Prince Secondus in the list of those he claimed looted the nation’s treasury alleging that he collected N200m from the former National Security Adviser NSA but Secondus who said he never collected a dime from the former NSA through his lawyer Emeka Etiaba SAN wrote to the Minister seeking the immediate retraction of the National Chairman’s name on the list, payment of N1.5b damages and public apology within 48 hours. Having failed to meet the demand, Prince Secondus on friday April 6,2018, made good his threat and filed a suit at the Port Harcourt, High Court, Rivers state claiming among other things that the court awards to him the sum of N1.5b being damages for humiliation, castigation, vilification attack on his person and integrity as a result of the publication. 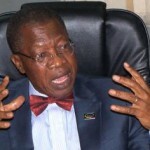 According to a statement from the PDP National Chairman media office signed by his Spokesperson Ike Abonyi, Secondus in the suit no/PHC/1013/2018 is also claiming that Lai Mohammed’s publication is defamatory and is asking the court to direct him to retract the said publication and apologize in writing. Publish the retraction and apology in all the social media including but not limited to the Following newspapers, the Nation, Thisday, The Sun, Guardian and Punch as well as in The following television channels, NTA and Channels Televisions among others where the defamatory story was published. 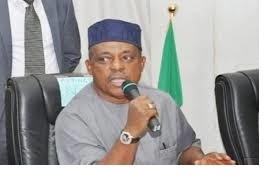 Secondus is also asking the court for a perpetual injunction restraining the defendant from further publishing defamatory materials against him. Joined in the suit are the federal Government of Nigeria through the Attorney General of the federation and the Vintage Press Ltd, publishers of the Nation Newspapers.